If split ends are your biggest hair woe, you’ll undeniably know that hair dusting or regular trims are the easiest way to stop them in their tracks. However, that is not always the preferred or viable method (especially if you’re precious about your hair length!) – which is why you need to invest in a hair mask for split ends. Now, we’ve got to be honest! A hair mask for split ends won’t be able to turn back the time on already damaged strands, but it can help improve the feel and look of your strands, protecting and fortifying your hair against future damage. After all, sometimes prevention is better than a cure, right? So, whether you’re currently struggling with damage or not, the benefits of using a reparative hair mask will speak for itself, that is if you do decide to get one. See our top picks, below. Dealing with split ends and hair breakage? Say no more! 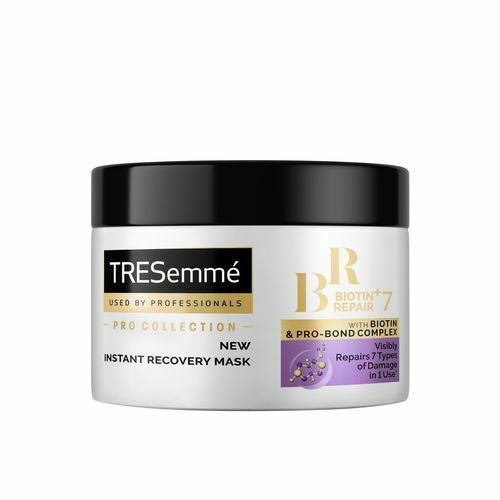 The TRESemmé Biotin + Repair 7 Intensive Mask will help visibly repair seven types of damage in just one use, strengthening your strands while also helping future-proof them, too. 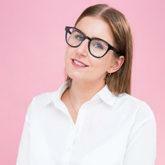 Next read: What happened when our UK Editor tried the TRESemmé Biotin+ Repair 7 range. Looking for an Eco-friendly hair mask for split ends? You can mask your way to better-looking tresses (and help the planet!) 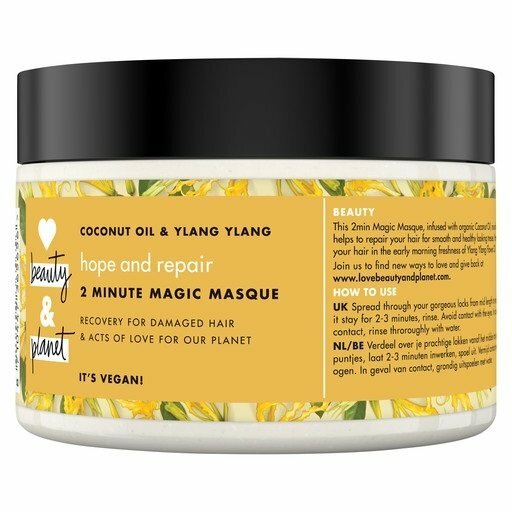 with the Love Beauty And Planet Hope & Repair 2 Minute Magic Masque. This coconut oil infused hair mask nourishes and repairs your tresses, leaving you with smooth and healthy looking hair. And, because it is super hydrating, curly-haired ladies will love it! When looking for a hair mask for split ends, it is important to understand why and how split ends are caused. Split ends are the result of damage to the hair structure, which makes it hard for the hair shaft to remain healthy and intact. So what better way to prevent pesky splits than by addressing the cause? 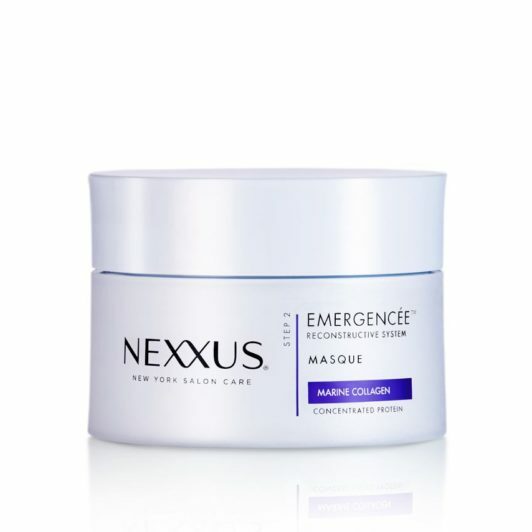 Say hello to the Nexxus Emergencée Masque. Its protein-infused formula reinforces the inner fibre structure (good), sealing in strength to reduce breakage (great), so hair unravels with beautiful resilience and fluidity (hooray!). 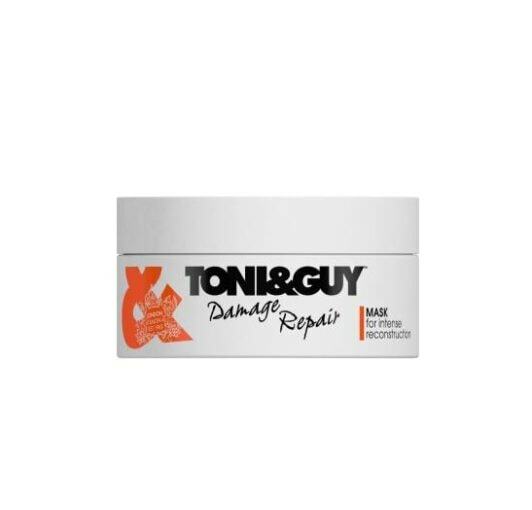 The deep conditioning formula in the Toni&Guy Damage Repair Mask provides advanced repair and replenishment for distressed hair, making it perfect for those dealing with So if you’re looking for intense nourishment, softness and shine, we suggest everyone tries adding this one into their hair care routine. 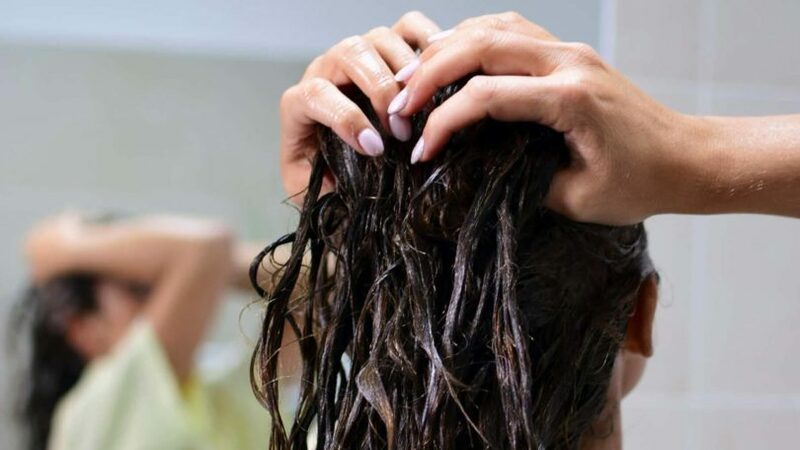 Whether you’ve recently hit up the hair salon to get your mane dyed or you love doing it yourself, you’ll know that dyed hair needs extra attention. So, you really can’t go wrong with trying a hair mask for split ends formulated with your hue in mind! 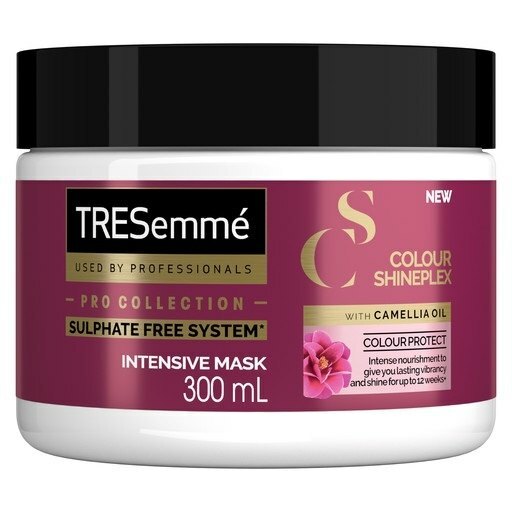 The TRESemmé Colour Shineplex Mask. It provides strands with intense nourishment and helps keep your colour vibrant for up to 12 weeks. If Karlie Kloss can figure out what the best conditioner for fine hair is, so can you! The best hair mask for damaged hair: 3 unsung hair heroes that you need ASAP!